Two of the hi-tech military achievements Iran had prepared for the Islamic Revolution’s 40th anniversary did not come up to scratch. Tehran failed in its second attempt on Wednesday, Feb. 6, to launch a satellite into orbit from the Imam Khomeini Space center in central Iran. US sources released images showing the rocket firing after some days of preparation, but since Tehran was silent on the outcome, it is assumed that the space shot was a flop. Since the first attempt on Jan. 15, using a long-range Simorgh. also failed, the Iranians decided to use the smaller a Safir rocket for their second attempt. 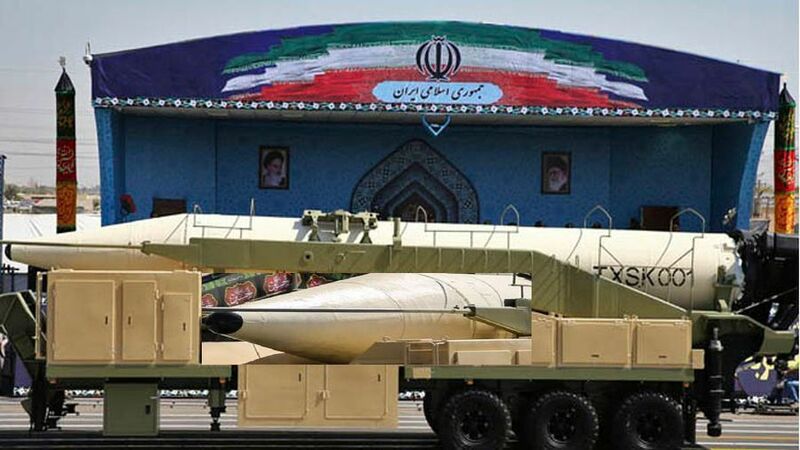 DEBKAfile’s military sources also met with a skeptical response to the Iranian claim on Feb. 4 to have armed its long-range Khorramshahr missiles (2,000km range) with 2-ton “home-made guided warheads.” Tehran said the upgraded version had been renamed Khorramshahr 2. Tehran is undoubtedly working hard to develop guidance warheads, but intelligence surveillance has discovered no evidence of its efforts leading to success. Not all the weapons Iran has recently showcased are flops. The test launch on Feb. 2 of its new cruise missile, the Hoveizeh (1,250km range) of the Soumar family, was successful, although the images reaching the West since then indicate some trouble with its engine. The Hoveizeh, is in fact, a replica of the Russian-Ukrainian Kh-55, a missile capable of carrying a nuclear warhead, which was smuggled into Iran eighteen years ago. The original was designed to be fired from warplanes. This would explain technical glitches arising when the Iranians try to use it as a ground-to-ground missile. Good news for now, but Iran eventually will develop these weapons. This is why Israel and the West need to stay several steps ahead technologically, as well as bring an end to the current tyrannical rulers. All while war develops between Italy and France in the next few days. Remember how Russia economically collapsed at the end of the 1980s. yeah, right. try looking up the numbers for “per capita gdp”. Time to bomb the mullahs and co.to the stone age.Long overdue. Funny name, the US have not succeeded anywhere they went. no? tell that to saddam hussein and abu bakr al baghdadi. “success” is achieving your objectives. They have created Abu Bakar Al Baghadadi and now they are stuck in their barrack waiting to be kicked out. I think we should start some major friendly nation war games. Say, . . . US, Israel, Germany, UK. Turn Tehran into a downrange impact area. France and Italy are already on the brink of war. Thjey don’t need any games. Like the USSR in 1989, their time is coming to an end. A trip for the Mullahs to the dark side of the moon. The Iranians should try to put a Mullah into orbit – or several hundred Mulllahs. Maybe a one-way trip to the dark side of the moon on a Chinese spacecraft! Include the dropping of some Chinese finger traps on the military parade. A weak Iraq, fought them to a draw. A small Greek force defeated King Cyrus’s large Army and Navy. Mordechai, led a revolt against them and killed 75,000 of them, including the fomenter Haman and his ten sons. which is right? that is not what the Book of Esther says. True, the book of Esther says Mordecai did not lead a revolt but rather was allowed to kill all those who with Haman had conspired to kill all Jews on a particular day. In fact not only were the tables turned on Haman but an additional day of Jewish revenge was allowed by the king and Haman was hanged on the very gallows he intended for Mordecai but it was not Mordecai that hanged him but rather the king. Jwsus has delivered an extra strong batch of Prozac for his mindless zombies. We call this batch Moses Mana ™. Hope it helps to believe more in Him. Obama lied then funded his buddies in Teheran. Trump is repairing the damage best he can, but it will take time.